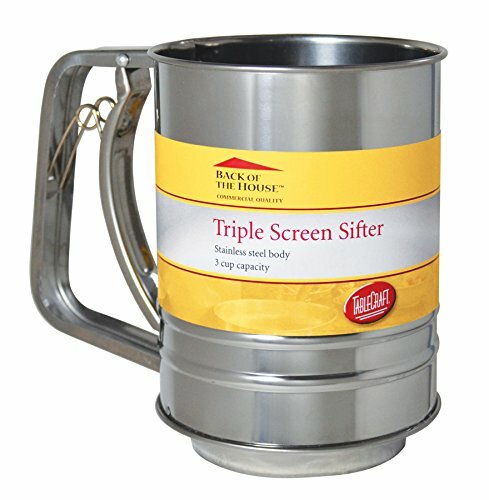 TableCraft Triple screen sifter 3 cups stainless steel great for your baking needs no need to refill this sifter it holds 3 cups. If you have any questions about this product by Tablecraft Products Co., contact us by completing and submitting the form below. If you are looking for a specif part number, please include it with your message.